The Roadhouse Restaurant & Inn is a historical landmark (image of 1990's TV drama, Twin Peaks) transformed into a local destination for the Snoqualmie Valley. Serving a variety of quality food since 1916. Open daily. Pizza, wings, salad, etc. for pick up or delivery to TreeHouse Point. Full bar with good tavern food and a funky atmosphere. This small tavern has old memorabilia tacked to every surface giving it a unique feel for a fun dinner stop. A local favorite! With outstanding views of the Falls and Snoqualmie River, The Dining Room at Salish Lodge & Spa provides a first-of-the-season experience. The menu features Northwest cuisine with flavors that sing the virtues of local and homegrown, using the best ingredients and refined cooking techniques. Lunch and dinner served daily and closed between 2:00 pm and 5:00 pm daily. Casual and comfortable with views of the Falls and Snoqualmie river, featuring a stone hearth pizza oven, furniture to relax in and a completely updated bar offering. Their menu features pizzas and sandwiches hand crafted and fired in an artisan pizza oven. Family friendly! Occasional live music! Open daily from 11:00 am to 10:00 pm daily. The Taproom Restaurant, open since 1997, brews 7 outstanding beers and is open seven days a week for lunch and dinner, offering great soups, salads, pizzas and sandwiches. Top-notch beers and delicious food served in a family-friendly setting. Weekly specials, live music and more. Please check the website for hours of operation as they vary by season. Unique, artsy cafe displaying local art and occasional live music in the evenings from local musicians. Featuring homemade bread and pastries, as well as beer, wine and fair trade espresso. Don't overlook their amazing nachos! Lunch served daily from 11:00 am to 4:00 pm and dinner served Wednesday thru Saturday from 4:00 pm to 10:00 pm. CLOSED ON TUESDAYS. Pronounced Cod-See-Wa-Ha-Ka and translated to "a little bit of Oaxaca," this authentic restaurant will transport you directly to the southern state of Oaxaca! Don’t miss out on their homemade tortillas and fresh salsa bar! Open 11:00 am to 9:00 pm Tuesday thru Sunday (or 10:00 pm on Friday and Saturday). CLOSED ON MONDAYS. Escape to southern Italy for an evening! This family run Italian restaurant offers authentic Italian with an extensive wine list. Gluten free pizza crust and pasta available. Open daily from 4:30 thru 9:30 pm. Locally owned Chinese restaurant using quality ingredients to create a traditional Chinese style. Open for lunch and dinner. Open for lunch and dinner Tuesday thru Sunday. Hours vary by day, please check website. CLOSED ON MONDAYS. The Woodman Lodge Restaurant offers dinner Tuesday thru Sunday night, as well as happy hour, at the bar only, Tuesday thru Friday night, 4pm to 6pm and all day Sunday. Woodman Lodge offers some of the best steaks as well as an extensive wine list. CLOSED ON MONDAYS. This historic building has stories to tell! Amazing Thai food. Open 11:00 am to 9:00 pm daily (closes at 10:00 pm Friday and Saturday). We love the atmosphere created by live music on Wednesdays and Fridays! Smaller Thai restaurant in downtown Issaquah serving authentic Thai cuisine made from scratch. Great summertime patio with a good variety! Closed 2:30 to 5:00 pm daily. Sip's culinary expression is a mix of foods that are well prepared and well balanced. With a repertoire of progressive American Cuisine, they'll not only satisfy your palate, but your sense of well-being. Open daily at 4:00 pm with happy hour from 4:00 pm to 6:00 pm. Farm to table style; they have their own garden! Jak's serves the finest corn fed, Nebraska raised beef you will find! Then, they either dry or wet age the beef, depending on the cut, for a minimum of 28 days to ensure that famous flavor and tenderness found only at JAK's. Brunch, lunch or dinner, they offer the best quality and the best value in town! At dinner, all entrees include salad, veggies, your choice of potato and hot sourdough bread! Best hamburgers! Dinner served daily and lunch served Tuesday thru Sunday until 2:00 pm. Closed between 2:00 pm and 4:00 pm daily. Happy hour 4:00 pm to 5:00 pm Monday thru Friday. Whether it is fresh shellfish such as; varieties of oysters, clams, or mussels or maybe it is fresh exotic fish such as; Ono, Mahi Mahi, Monkfish, Swordfish, Tuna, Halibut, and Salmon, Fin's has it all! 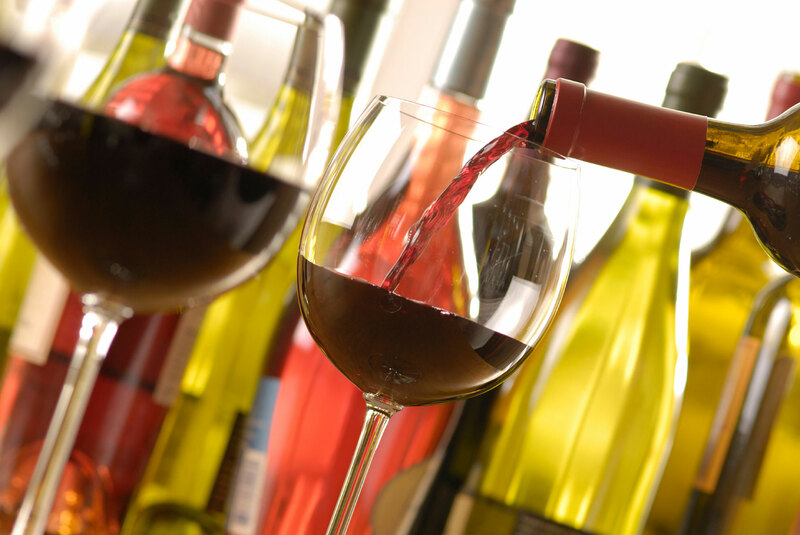 Fin's also has an extensive wine list and full service bar to help compliment your fine dining experience. Open Tuesday thru Sunday for lunch and dinner. CLOSED ON MONDAYS. Staff says, "Their staff has been the same for 10+ years and they sure know how to cook seafood!" Local chain grilling up Pacific Northwest steak, seafood & wine in a rustic-chic space. Extensive menu with a great variety of vegetarian and gluten free options. Open daily for lunch and dinner. Private dining room available with minimum purchase! Located in Gilman Village, this cozy spot with South American-inspired menu of steak & seafood & many American whiskeys. Open daily for lunch and dinner. Happy hour daily from 2:00 to 6:00 pm. Romantic bar area! Small, yet comfortable beer house also located in Gilman Village with 17 domestic craft beers on tap. The pub area has a seating capacity of 50. Excellent food with a great beverage selection. Open daily from 11:30 am to 12:00 am. Staff love it here! Fresh focused, locally sourced and scratch made. This pub opened in 2015 and is located in Old Issaquah. Open daily for lunch and dinner. On historic Front Street! Sit by the fireplace and watch sports or simply enjoy the comfortable lodge-like atmosphere. Serving classic in hearty portions. Open daily for breakfast, lunch and dinner. Great for an after hike meal! This historic building was built in 1941, by Roy Thompson, and is still owned today by members of the family. The business changed hands a couple times throughout the years. In 1990, on a scouting trip to find a location for his new movie/pilot /series, David Lynch found the setting of this cafe perfect! He then filmed the now famous TV series “Twin Peaks” highlighting the cafe’s cherry pie! Today the cafe is known as Twede’s Cafe, renown for great food, and plenty of it! With the great burger variety, huge breakfasts, and home-style dinners, “No one ever goes away hungry!” At Twede’s, almost everything is made from scratch and they still have “Twin Peaks” cherry pie! Amazing homemade dishes! Great portions and amazing pastries. Open 8:30 am - 8:00 pm during the weekdays and 8:00 am - 7:30 pm on weekends. Judy's favorite yarn shop, Tolt Yarn and Wool, is across the road!